Today we highlight tremendous business analyst and post-consulting leadership jobs at Georgia-Pacific. Georgia-Pacific is an Atlanta-based pulp and paper company with an 88-year history as an industry leader. From humble beginnings in one small building to over 300 locations around the world, Georgia-Pacific has experienced almost a century of incredible growth. Georga-Pacific employs more than 40,000 professionals at these 300+ locations throughout North America, South America, and Europe. Certified in sustainable forestry practices, the company has a reputation for taking environmental protection seriously and is the largest user of recycled pulp in the world, bringing you products such as Angel Soft, Brawny and Dixie. As an employer, Georgia-Pacific is touted for above-average pay and excellent benefits. Though many former employees have stated they would prefer incentives be tied to personal performance rather than plant or division numbers, this has not diminished the fact that Georgia-Pacific’s total compensation packages are above-average. The company is interested in the individual growth of its employees, and thus advancement opportunities are typically available for consistent workers. However, the pay grade at middle management makes it less than an ideal transition point for consulting top performers – get in early, or wait it out. Personnel are treated fairly and the company’s overarching operating principles are universally praised by both current and former employees. The company prides itself on its culture of Market Based Management (MBM), which places worth on value created over time invested. The hierarchical structure in this MBM culture is fairly flat and the free flow of ideas is encouraged at all organizational levels. Employees at every level are encouraged to be entrepreneurial and think of new and creative ideas to increase efficiency and grow business. Theory and practice are combined to prepare staff for both growth and challenges. GP workplace culture tends to vary significantly from location to location. Not all managers follow the company’s MBM principles, and work/life balance reviews hit both ends of the pendulum depends on the office. Former employees rave about GP’s exceptional personnel, but there seems to be a need for middle managers to assimilate the company’s guiding principles into their own individual styles. Overall, however, Georgia-Pacific is considered a highly positive place to work with excellent peers and high-impact work. As evidenced by its culture, GP is looking for passionate people who can bring value to the company by following established procedures as well as coming up with new ones. When pursuing a position at GP, be prepared for a behavior-based interviewing format. For example, you will be asked to describe a time when you used good judgment and logic to solve a problem or a time you used your coping skills when faced with a stressful situation. GP believes that past behavior is the best indicator of future performance. They are looking for detailed examples of your answers, so come prepared with specific success stories from your past experience! 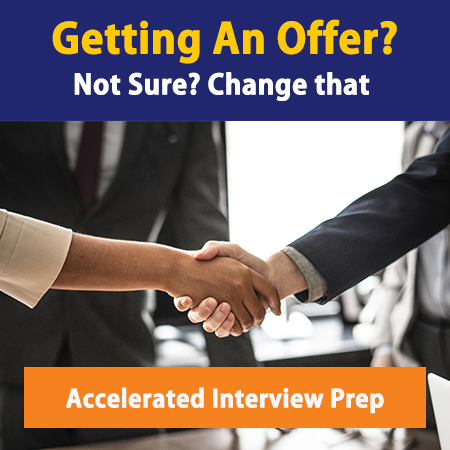 The typical hiring process from application to offer will vary largely depending upon the position that you are applying for, but you can expect the timeline to take anywhere from 2-12 weeks. Be prepared for several rounds of interviews, the first of which consists of connecting with a recruiter for a phone screen. This may be followed by an interview with the hiring manager for more specific questioning regarding your past experience and the role for which you are interested. The final round of interviewing will be conducted by multiple people – for an analyst position, it’s usually one director and two senior managers. This final round consists of more behavioral questions and specific cases that you will be asked to come up with strategies for. It will be expected of you to be familiar with MBM and the company’s ten guiding principles. Genuinely incorporating these principles into your answers will go a long way toward making you stand out in the hiring process. At the end of the day it’s about doing your research and being honest with yourself – otherwise, you won’t be a great fit anyway. If you’re selected for the position, HR will begin negotiations with you. Almost everything is on the table, but you must be direct. Don’t expect them to make any concessions without you asking! Generally, they will make you an offer somewhere in between what they think you are worth and what they think you will settle for. Your leverage in negotiations will mostly depend on the extent of enthusiasm the person in charge of hiring has for landing you. Once negotiations are complete, you will receive a job offer contingent upon passing a drug test. Good luck in your new position! Join GP’s impressive culture: To learn more about open positions and how to apply, visit the Careers Page today. One of the main reasons people go into consulting is access to incredible post-consulting career opportunities. We offer a bi-monthly newsletter (by application only) for high-level strategy jobs at top firms around the world. To get in on the action, receive the monthly newsletters, and become part of our exclusive Job Hub community, apply here. Are you looking for a consulting or post consulting job but don’t know where to look? Tired of going through headhunters and receiving minimal prospects? Want access to Management Consulted’s exclusive list of consulting and post-consulting jobs if so then click here to gain access to our job board.